The Amazon Echo Plus (Gen 2) is a voice-controlled smart home hub and speaker that connects to Alexa, Amazon’s virtual assistant. Amazon Echo Plus is the first Echo device with a smart home hub built in. It includes all of the features of the original Amazon Echo as well as a few upgrades and a few expanded or new features. Echo Plus is a hands-free solution that uses the Alexa virtual assistant to get things done. You can ask Alexa to check the weather, provide news briefs, search the internet, call or message people, order dinner delivery from your favorite restaurant, and even request a ride from Uber for you. The smart home hub built into the Echo Plus allows you to connect to and use your voice to control most or all of your smart home devices, such as smart light bulbs, smart door locks, smart TVs, smart appliances, smart smoke detectors, smart thermostats, and literally hundreds of smart devices that use Zigbee, Bluetooth, or Wi-Fi. The dual-band Wi-Fi supports 802.11 a/b/g/n (2.4 and 5 GHz) networks. However, it does not support connecting to ad-hoc (or peer-to-peer) Wi-Fi networks. 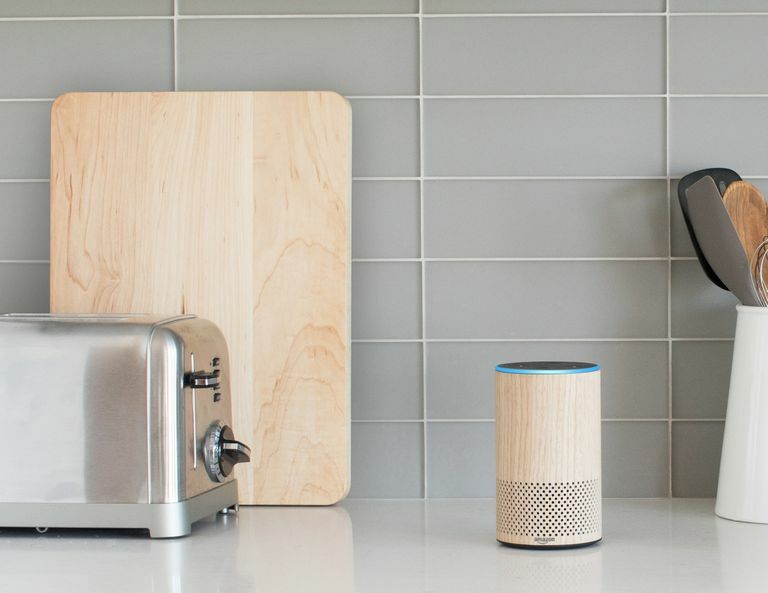 Echo Plus easily connects to all of the other Echo devices in your home, such as the Amazon Dot. Once connected, Echo Plus can play music, podcasts, audiobooks, newscasts, and other audio across all of your Echo devices throughout your home. You can even use it to talk to someone in a different room of the house. The Echo Plus uses artificial intelligence to get “smarter” over time as it identifies and builds profiles for each user based on speech patterns, word choice, and preferences. Amazon’s regular updates for new features and fixes allow you to enable new skills through the Alexa app. All you have to do is ask Alexa to search for and enable the new skill needed for the service or function you want to use. You can use your Echo Plus for audio calls to the United States, Canada, and Mexico. The Echo Plus has dual-speaker Dolby-enabled sound with a 3” woofer and .8” tweeter with increased back control that offers prominent bass and clear mids and highs. The device integrates easily with Echo Sub. Local voice control lets you control your smart home even when the internet is down. The device offers a built-in temperature sensor so you can check the temp inside your home or use the device easily with compatible thermostats. Echo Plus has 7 microphones with noise-canceling and beamforming technology to pick up your voice from any direction, even if a loud movie or music is playing. The built-in smart home hub for the Echo Plus can use multiple communication technologies to communicate with your smart home devices, including Bluetooth, WiFi, and Zigbee without the need for additional separate hubs or apps. The Amazon Echo Plus uses Alexa to connect to your smart devices using the Simple Setup feature. Say “Alexa, discover my devices,” and the Echo Plus automatically searches for, detects, and connects with all compatible smart devices in your home using the Alexa app. Using the Simple Setup feature of the Alexa app, the Echo Plus can literally connect with potentially hundreds of smart home devices and options with one sentence. If you are just getting started with smart home technology and devices, the Echo Plus provides the smart home hub you need to connect to and run all of your smart home features with Alexa voice-control. If you have an existing set of smart devices and a smart home hub, the Echo Plus can serve as an add-on to your existing smart home system, or replace your current hub entirely.